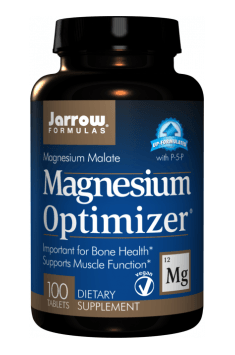 How to meet the magnesium demand without using supplements? Preparations containing magnesium are one of the best-selling dietary supplements. The Poles, thanks to intensive advertising campaigns, started to fill in the shortages en masse, hoping to improve the psychophysical condition and reduce the risk of many diseases. In fact, magnesium plays a very important role in our body, but is supplementation really necessary? It turns out that it is not. Even the increased demand for magnesium coatings can be more than satisfyingly composing your diet. Daily demand for magnesium in adults ranges from 310 to 420mg per day. Athletes and people with very heavy exertion, as well as taking some medicines as well as diabetics may sometimes need larger amounts of this element. Also in the period of building muscle mass, the magnesium intake should be slightly increased, it is believed that to obtain an increase of 1kg of muscle, an additional 200mg of magnesium is needed. Contrary to appearances, the demand for magnesium does not increase regular consumption of coffee, unless of course we consume it in reasonable quantities. High doses of caffeine may increase the loss of this element in the urine. Minor deficiencies of magnesium can occur widely in European populations, extreme deficit is rare. Symptoms of inadequate supply are disorders of the neuromuscular and cardiovascular systems. Muscle tremors and cramps may appear as well as increases in blood pressure and arrhythmias. In the case of excessive consumption, diarrhea, dehydration and, in extreme cases, hypokalemia and even breathing problems may occur. Magnesium, however, is well tolerated in people with healthy kidneys, even when consumed in high doses and it is difficult to overdose.